Fall into good habits by following these tips from the Centers for Disease Control and Prevention. Keep your kids safe and healthy. Get involved with your kids’ activities at home and at school to help ensure they are safe and healthy. Get a flu shot. The single best way to protect against the flu is to get vaccinated each year in the fall. Get smart about antibiotics. Antibiotics can cure bacterial infections, but not viral infections. The common cold and the flu are viral infections. Test and replace batteries. Check or replace carbon monoxide batteries twice a year. Replace smoke alarm batteries at least once a year. Test alarms every month to ensure they work properly. Keep food safe. Food is center stage during the holidays. Be sure to keep it safe by following basic food safety steps. Learn your family history. Learning about your family’s health history can help you take steps to ensure a longer, healthier future together. Be prepared for cold weather. Exposure to cold temperatures can cause serious health problems. Know how to prevent health problems and what to do if a cold-weather emergency arises. Don’t drink and drive. Alcohol slows reaction time and impairs judgment and coordination. Don’t drink and drive, and don’t let others drink and drive. 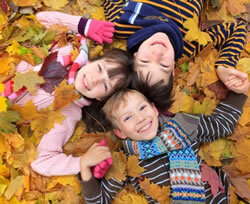 Visit www.cdc.gov/family/autumn to read more on how to stay safe and healthy this autumn. ← Are Your Gums Healthy?